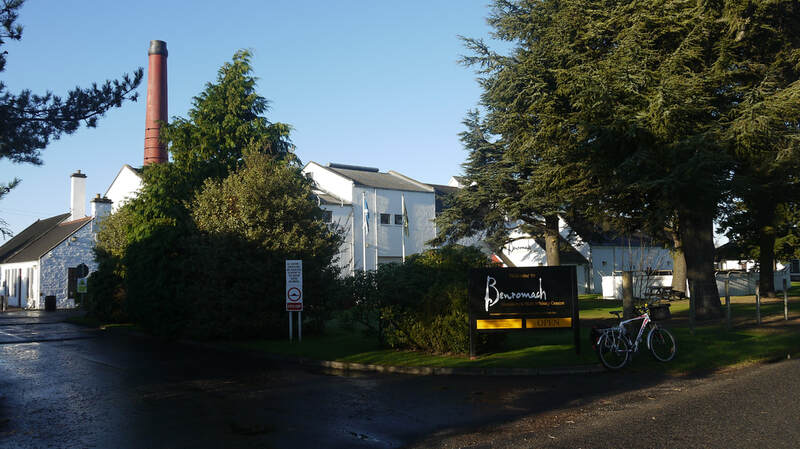 Benromach is named after the Romach Hill, which is actually behind Dallas Dhu distillery. 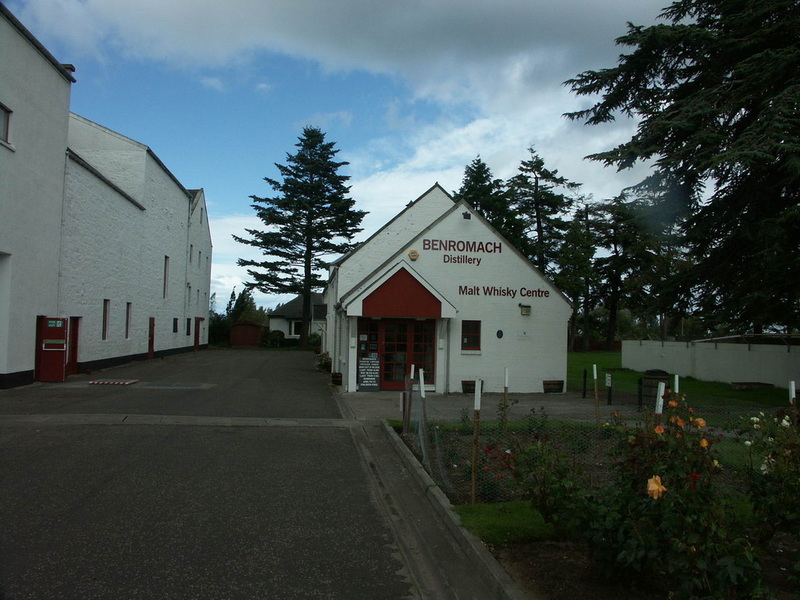 Whisky Cast suggests Benromach means "shaggy mountain"
Website has details of whiskies and tours, you can sign up for friends of Benromach to get newsletters from the Distillery. 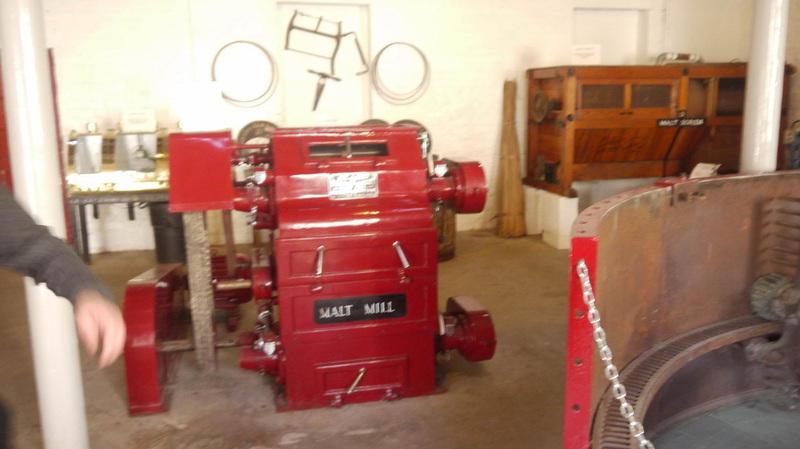 A little on the history of the distillery, more on crafting whisky. Visitor centre - opening hours: Monday to Friday all year round, plus Saturdays (May - September) and Sundays (June - August). Tours cost £6, more in depth tours and tutored tasting are also available. These need to be booked and depend on sufficient numbers. Photography not allowed in production areas of distillery. 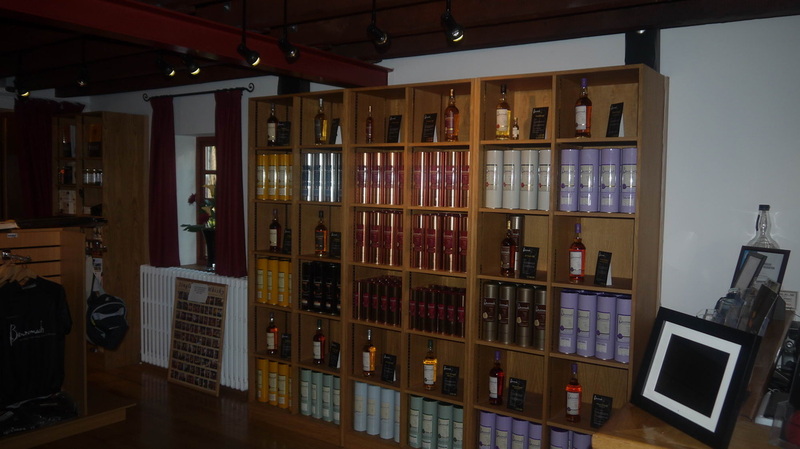 My visit to Benromach Distillery in November 2011 - not a busy time of year for them, so a 1:1 tour and a few good samples afterwards - good value for the basic tour! Some great pictures of the exterior on a beautiful winter's day. Another 1:1 tour on my visit in November 2012 - on foot due to theft of bike the previous night! Hat trick of November visits in 2013. 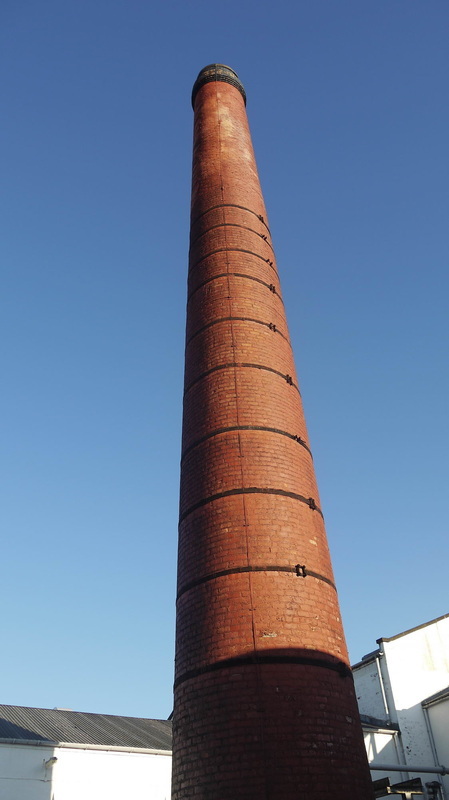 Capacity at the distillery was increased to 750,000 litres in 2014. 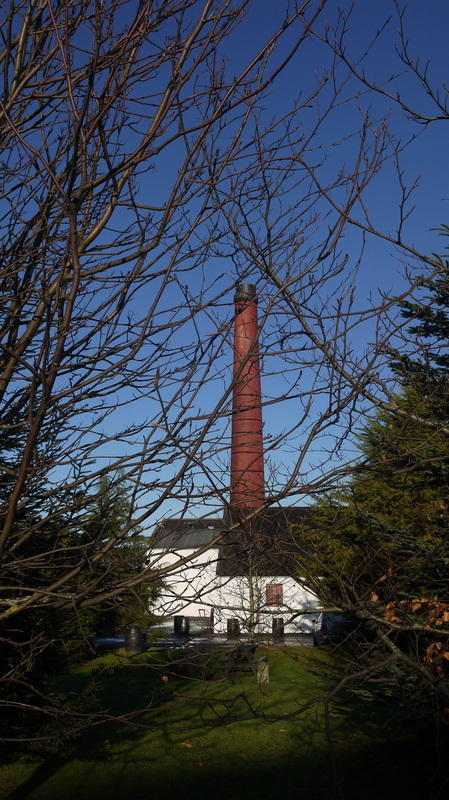 Benromach has a distinctive tall red chimney visible for miles around. 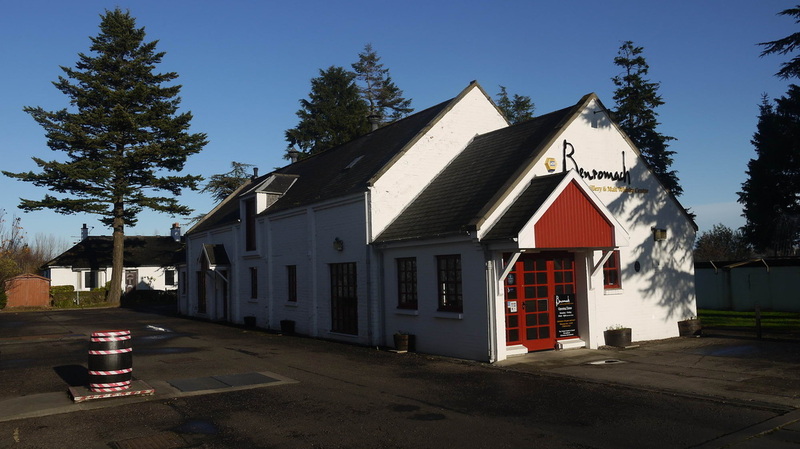 The distillery had been closed for 9 years when Gordon & MacPhail took the plunge into distillery ownership, buying it from Diageo predecessors UDV, and it took a further 6 years to get it back into production. Benromach Distillery is just off the A96 Forres by-pass across the new bridge over the railway, a few hundred yards from Forres Station (FOR). Live Train Times. ​The station plan has yet to be updated for the new station. 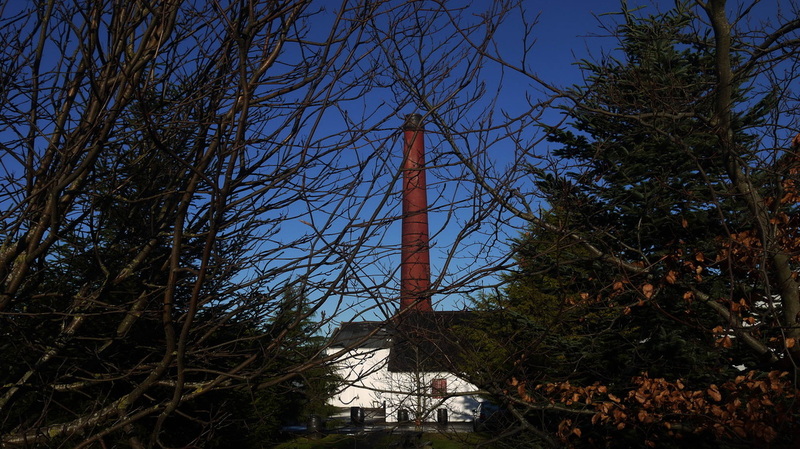 National Cycle Route 1 skirts two sides of the Distillery. The Burn of Mosset is just across the road, and the Findhorn flows past less than a mile from the distillery. Benromach have an extensive range of whiskies starting with Classic range of 10yo (43%), 15yo (43%) and 10yo at 100° proof. They also do a number of wood finishes (45%), an Organic whisky (43%); Peat Smoke (46%) and an Origins range, which features whiskies made from a speciifc type of barley or wholly matured in Port Pipes. They released a triple distilled bottling (50%) in 2017. There are regular releases of older whisky too, currently a 35yo (43%) and a couple of single casks. Independent bottlings rare. Photos on this page were taken by me. Click on photo to enlarge. 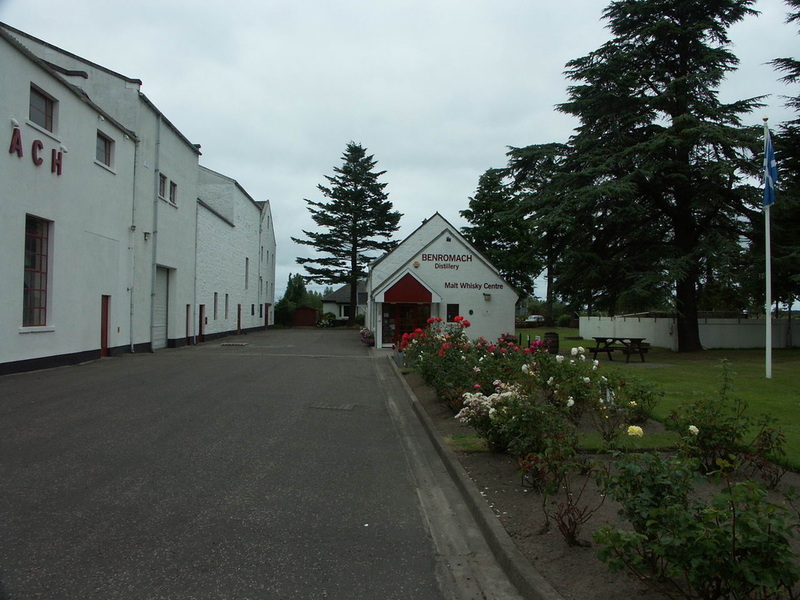 Full size versions of all my photos of Benromach Distillery are available on Flickr.